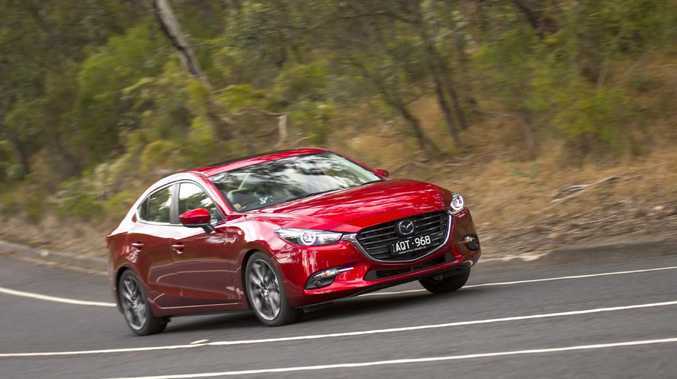 The SP25 Astina, the headline act in the Mazda3 range, starts at $33,790 drive-away for the six-speed manual paired to a responsive and refined 2.5-litre four-cylinder. Six-speed auto adds $2000. The feature list includes thumping Bose audio, adaptive cruise control, head-up display, seven-inch screen with digital audio and satnav, leather upholstery and heated front seats. Servicing is at 12 months/10,000km intervals with the first four trips costing $1288. 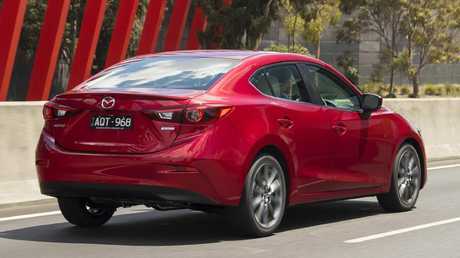 Hot seat: A lack of rear air vents is one of the major drawbacks of theMazda3 SP25 Astina. With the driver's seat set for a 180cm adult there's still space behind to accommodate a pair of bigger teenagers. The 308L boot just does the job for a family of four and while there are no rear air vents, the same teens claim the back warms up quickly with hot air rising from under the front seats. Engine noise is entertaining, not aggravating and reflects the relatively sporty nature of this car. Active driving aids and a great ANCAP rating of 36.4/37 makes the Astina one of the safest small sedans/hatches in the class. Avoiding the crash comes down to sensor-based features such as autonomous emergency braking, lane keep assist and blind spot monitoring. Should that crash occur, six airbags and a solid structure give you a good chance of survival. 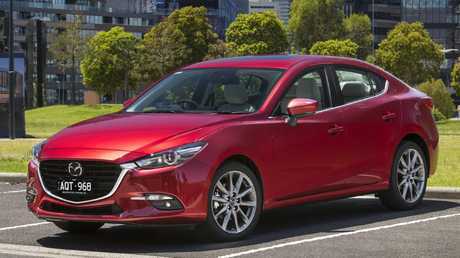 Sharp ride: The Mazda3 SP25 Astina has very responsive steering. This is a driver's car with good features rather than a well-equipped conveyance. The six-speed auto changes gears efficiently in the default drive mode. Switch to sport mode and it charges to the top end of the tacho, where peak power and torque reside. The steering is instantly responsive and the only pity is the engine isn't turbocharged to fully exploit the excellent chassis. Too-small paddle-shifters are among the few criticisms. The Titanium outdoes the Mazda3 for space but, as an older model, it doesn't have all the active driving aids and can't match the looks inside and out. Buy before October and the top-spec regular Golf matches the Mazda for comfort and features but lags on outright handling and performance. The ZR has all the kit and is now a decent drive. The boot is tiny thanks to the spare wheel - buy the ZR hybrid with a repair kit and performance drops but there's 50 per cent more space. Jam packed: The Mazda3 SP25 Astina is full of safety tech. What the SP25 Astina lacks in space it makes up for in poise, pace and features - and is priced accordingly.